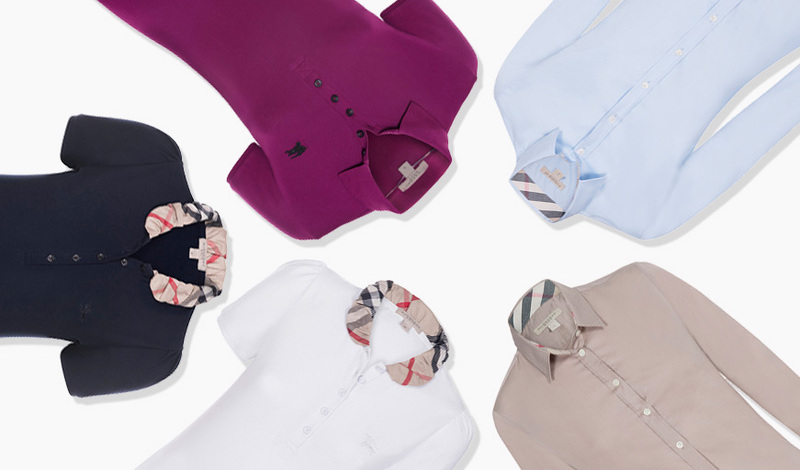 Following the rapid success of Burberry’s festive campaign, The Luxury Closet has managed to get their hands on enough shirts and polos to clothe your entire family this Winter season. With items selling up to 60% off retail price, you won’t be able to resist the deals we’re dishing out! The brand was founded in by Thomas Burberry in 1856, at the tender age of 21. Thomas invented and patented the lightweight and British-weather-proof gabardine fabric, used to later create the iconic trench coats that have defined the brand throughout the years. Burberry as we know it now, manufactures everything from clothing to fragrances to sunglasses. The brand has grown within the luxury market, and has secured itself as a globally successful company. The brand has maintained it’s British charm with the use of an all-star cast throughout their campaigns. Familiar faces such as Emma Watson, Romeo Beckham and even funny man James Corden, have starred in campaigns and runway shows alike. Many of our shirts feature the classic equestrian knight emblem, which was added to the brand circa 1901. Making them quintessential items in the long and fascinating history of this incredible brand. These shirts are available in a range of sizes and colours, keep checking back as we add more and more to this sale, live until 20th November! Which Jacket Fits Your Body Type?